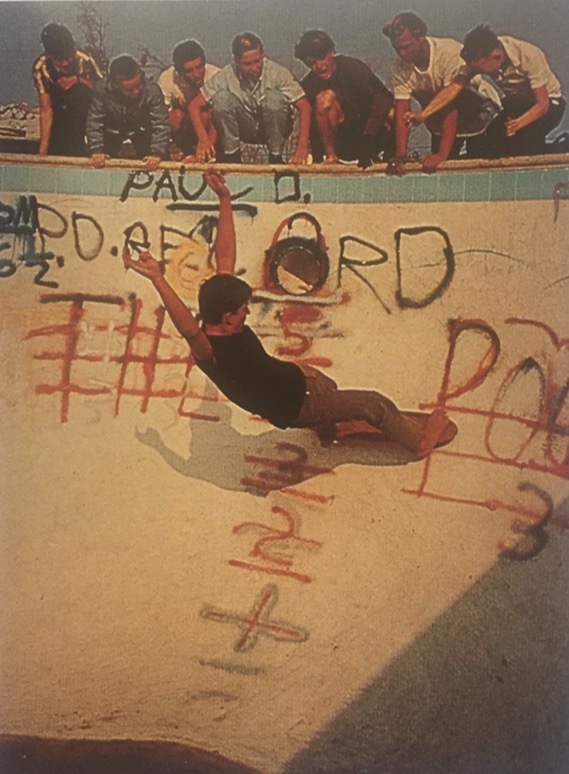 Categories > The Deep End > Early Pool Skating. I got these from Dale there 1963 or 64 & going to be in the show that starts tonight in HB @ the The International Surfing Museum in Huntington Beach will celebrate its new "Surf 2 Skate" exhibit with an opening event from 6 to 9 p.m. Saturday. I cleaned them up a little in PH..
Nice piece of transition skating history right there, didn’t realise it started that early. Clay wheels and bare feet. They were rad! Dale talked to the guy that owned the photos He said the marks were for each guys best/highest ride one was riding the tiles. They didn't clean out the water at the bottom cuz they only rode the walls. 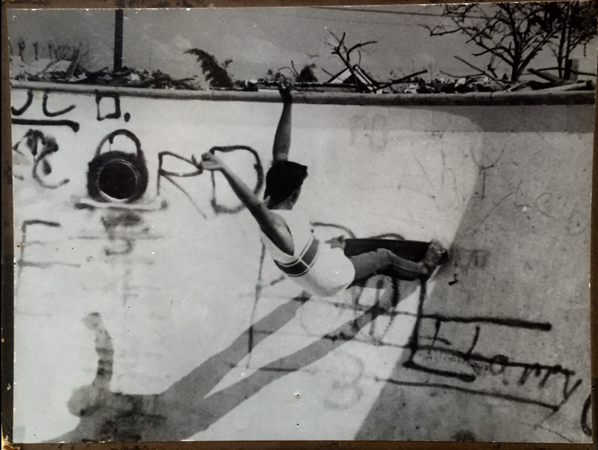 I grew up in the 70s in a sugar plantation area , NO swimming pools for 30+ miles anywhere around . There was some drainage ditches around though .